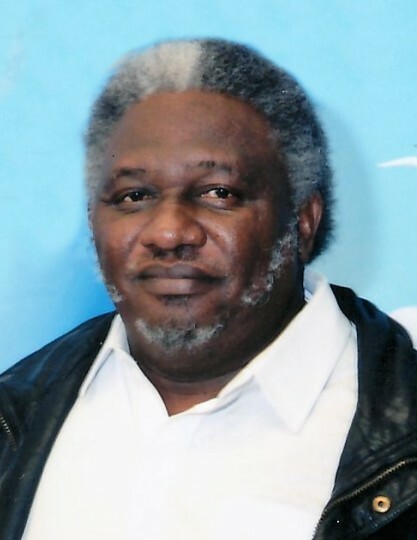 Services for Mr. Randell Weatherall, 62, of Garland, will be 11:00am Saturday August 4, 2018 at Judea Baptist Church, in Jefferson, Texas. Burial will follow at Pyland Cemetery under the direction of Lewis & Walker Funeral Home. Mr. Weatherall will lie in state from 1:00 until 5:00pm Friday at Lewis & Walker Funeral Home. Randell Weatherall was born on August 22, 1955 in Jefferson, Texas to Alf and Gladys (Coleman) Weatherall. He grew up in Jefferson where he enjoyed spending time with his brothers and sisters and his grandparents Arthur and Codella Coleman and Magaline Weatherall. He graduated from Jefferson High School where he met his sweetheart, Carolyn Andrews. They were married on July 6, 1974 and they resided in Garland, Texas for 44 years. Randell worked for the City of Dallas for 26 years before retiring. He enjoyed coaching football, baseball and basketball and spending time with his children and grandchildren. He was preceded in death by his parents, Alf and Gladys Weatherall; twin brother, Darnell Weatherall; sister, Mary Connor; and brother, Raymond Moore. He is leaving to cherish his memory, three daughters, Shelley Abrahams (Nidus) of Keller, Texas, April Pipkin (DeAndre) of Longview, Texas, and Maranda Weatherall of Irving, Texas; three sons, Randell Weatherall, Jr. (Mishty) of Dallas, Texas, Jason West (Jonasa) of Farmersville, Texas and Christopher Weatherall (Zenya) of Phoenix, Arizona; five grandchildren, Ariana Abrahams, William and Serenity West, Fayth Harris and DeAsia Pipkin; two sisters, Magaline Weatherall and Reta Bowser (Ed); four brothers, Laurence Weatherall (Mary), Lloyd Weatherall (Lisa), Arthur Weatherall and Harry Moore (Janie); and a host of nieces, nephews, aunts, uncles, cousins, brothers and sisters-in-law, a very dear friend, Phyllis Randle, and the many people that touched his life in some way.